With the beginning of the NFL Playoffs just a mere days away, we’re heading back to Miami, Florida for Super Bowl XLI between the Indianapolis Colts and Chicago Bears. 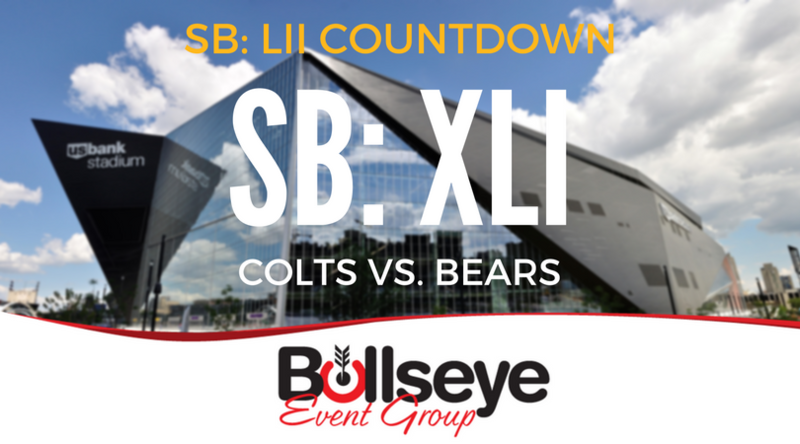 On February 4, 2007, the Colts and Bears kicked off a historic Super Bowl XLI from Dolphin Stadium in Miami, Florida. Super Bowl XLI would become the first Super Bowl in which not only was there an African American head coach leading one of the two teams, but both teams, and one would become the first African American head coach to win the Super Bowl. The Indianapolis Colts and head coach Tony Dungy would take home the title, by a final score of 29-17. Many remember Super Bowl XLI as the Super Bowl where Colts quarterback Peyton Manning finally got the “monkey off his back.” After years of early playoff exits and disappointing finishes, Manning and the Colts had finally captured their first Lombardi trophy. Manning would go on to be named Super Bowl XLI MVP, completing 25 of his 38 passes for 247 yards and a touchdown. In front of 74,512 football fans at Dolphin Stadium, the late Prince would perform the Super Bowl halftime show, in a performance that would become iconic, and the national anthem was sung by Billy Joel. A total of 93.2 million fans tuned in to catch Super Bowl XLI, broadcast by Jim Nantz and Phil Simms on CBS. And the cost of a 30-second Super Bowl commercial spot would cost around $2.6 million.